Clean Archives Reloaded is a great archives plugin for those of us who have used WordPress for a long time. 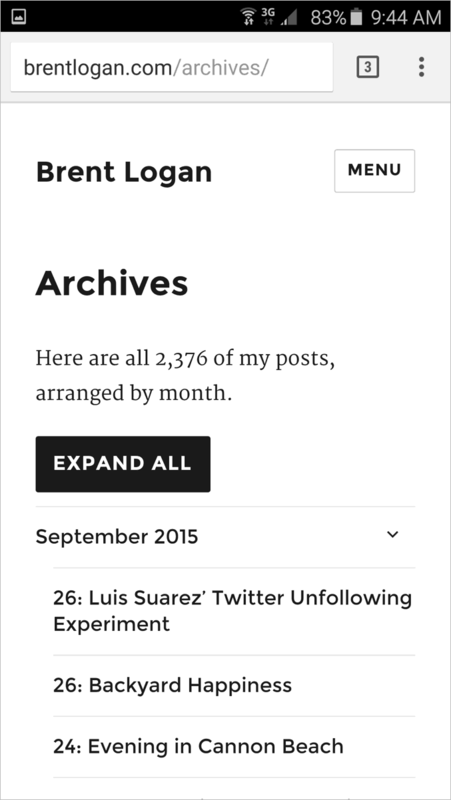 I use it in my archives page because it can display a lot of post titles without overwhelming the reader. Twenty Sixteen is the default WordPress theme for WordPress version 4.4. I’m using Twenty Sixteen now. 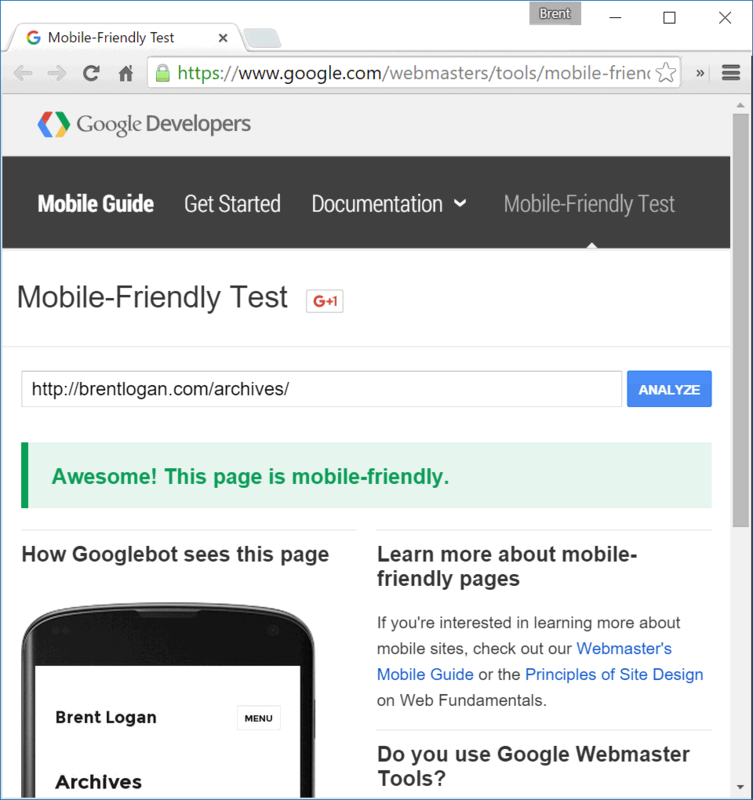 Twenty Sixteen is a “mobile first” responsive theme. Its main menu collapses our of the way for smaller screens yet can be expanded with a touch. The items are spaced for easy tapping. Google’s Search Console1 highlights pages that are not mobile friendly; it flagged my archives page because the post title links and month links were too close together. Here’s how to take the CSS for Twenty Sixteen’s main menu and apply it to Clean Archives Reloaded. Next I grabbed the CSS from Twenty Sixteen and searched for all the lines with .main-menu in them and modified those appropriate to Clean Archives Reloaded. Because I only wanted this new CSS to apply to smaller screen widths, I wrapped the CSS in a media query. This makes Clean Archives Reloaded use mobile friendly formatting at the same screen width that Twenty Sixteen’s main menu. There are many options for applying this custom CSS, from using a child theme, to using JetPack’s custom CSS module. I use a plugin that loads my custom CSS file. Update. I continue to update the CSS and screen capture as Twenty Twelve’s CSS continues to change during development. This is the CSS I’m using here now.